The calendar may read November, but red and green already color the store shelves and windows. Christmas is a celebration of faith and family, or as the song says, “The Most Wonderful Time of the Year.” And yet for many, those without friends or estranged from family or mourning the loss of a loved one, it is the loneliest time of the year. 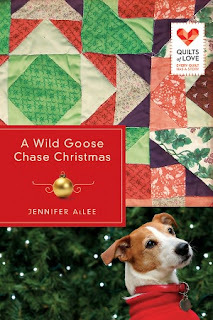 In Jennifer AlLee’s A Wild Goose Chase Christmas, Izzy (Isabella) Fontaine’s Gran was the glue holding her family together. Was. Because as the book opens shortly before the holidays, Gran has just passed away. Can Izzy’s family mend their strained relationships in time for Christmas? The second chapter of Genesis details God’s creation of a mate for Adam, His first human. Did you ever notice that God called the creation of the land and sea (Genesis 1:10), the plants (Genesis 1:12), the sun and moon and stars (Genesis 1:18), the fish and birds (Genesis 1:21) and land animals (Genesis 1:25) “good.” And then He made a human in His image, but something was “not good” (Genesis 2:18). Something was missing. So God created a “helper” for Adam. The New King James Version uses the phrase “a helper comparable to him [Adam].” The other creatures could provide Adam with companionship (like Gran's terrier gave to Izzy), but they lacked the intellectual ability to offer him fellowship. For that, Adam needed a fellow human being, someone “comparable.” Though we often think of this verse in the context of marriage, from here also derived all other human relationships: parents, children, cousins, neighbors, friends. Perhaps that is why God devoted fully 60% of the Ten Commandments to our relationships with others. Jesus himself told us the second greatest law was to love our neighbor as ourselves—and then went on to define “neighbor” to include every stranger with whom we come into contact. Sadly, those most capable of emotionally wounding us are those closest to us: parents, siblings, spouses, intimate friends. Consider the story of Joseph, sold into slavery by his brothers. Or worse, Jesus betrayed by his own disciple. We feel the pain of betrayal all the more keenly when it comes from our fellow Christians, those from whom we expect better. 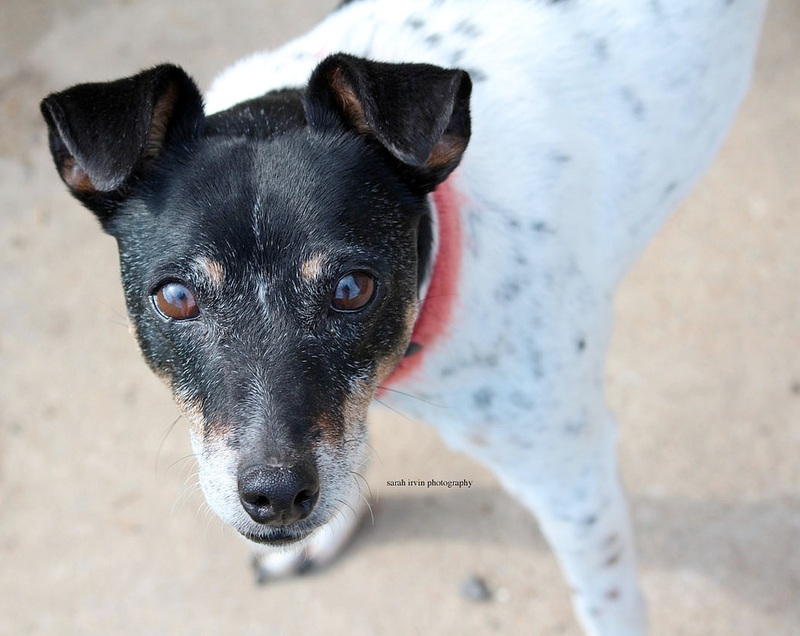 In A Wild Goose Chase Christmas, Izzy faces a decision. She can nurse the divisions and resentments that have grown between her and the rest of her family--or she can let go of the hurts and reach out to them. The true test of our faith comes in how we treat those mistreat us. Do we hold tight to the grudge and let the bond of friendship or family whither, or do we extend forgiveness and reconciliation? Can you think back to a time when you let go of your pride and reconciled with a friend or family member and restored the fellowship between you? Hmm...good question. My issue usually isn't pride. It's usually not wanting too be hurt again. I would say sometimes I do better than others with putting that issue aside. Wow. This is a toughie for me. I like to think I don't hold a grudge, but I discovered that I have a hard time letting something go when someone hurts someone I love. I believe we can only truly forgive and reconcile by turning to God to get us through. Great post, CJ! I'm like Dina... it's not so much pride that keeps me from mending rifts as the fear of being hurt one more time. Self-preservation is a powerful instinct. Every time I think I've totally handed a conflict over to God, I find out I'm still holding on to some part of it. It's a never ending process! Interesting thoughts, everyone. I had to ponder these a while, and instead of an answer, I ended up back at another question. Could it be failure to forgive (holding onto a grudge) is motivated by pride but failure to reconcile (holding back from trying to re-establish a relationship) is motivated by fear? Very insightful, CJ. That's a great observation. I can apply that to my own life... where I could forgive the person, but the act of reconciling was a completely different, and much more difficult, matter. Then we can take it a step further. Without reconciliation, is there complete forgiveness? I believe there are some instances where God will prompt you to remove yourself from relationship with a person, but still empowers you to forgive. Other times, the reconciliation is a necessary part of the forgiveness. Good post, CJ. I like the way you used Biblical reference to show us Izzy's faith journey. I agree, CJ. I really don't think I have a problem with forgiving. But reconciling is hard, especially when the person has any sort of authority over me. Mmm, I think I have an issue with reconciliation in particular relationships too. It's definitely based on fear of being hurt again, rather than pride or dislike, I think. But I'm going to have to pray about this now. Interesting timing. 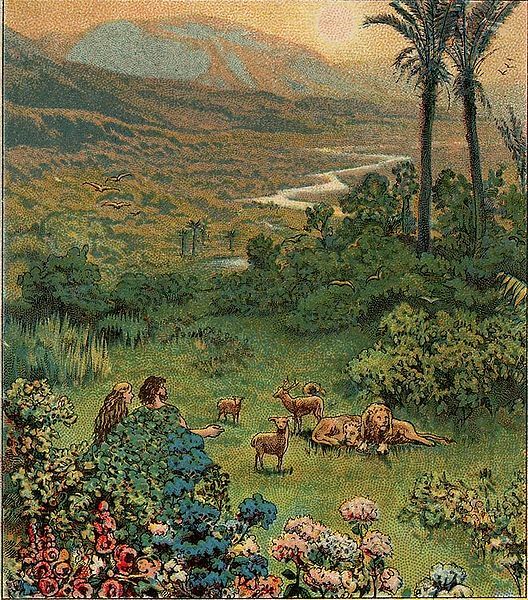 We're studying Genesis in BSF; just finished Noah and I'd been thinking how lonely he and his family must have been as the only people of faith in their culture. It gave me pause. Lovely post. I agree, it's not the pride or anything, it's the "if I let you back in close to me, are you going to hurt me again or do you realize what you've done and will you try not to do it again?" Plus, I think it's the former-CPA in me that wants to see everything accounted for and reconciled. Anyway, I'm glad God reconciled things for us. Now to just offer that to "my neighbor." Jen, I agree there are times when reconciliation isn't healthy for us (like when another person does not repent for wrongs committed). We aren't supposed to be doormats to wrongdoing. Anita -- I hope I didn't give too much away. (Well, we can kind of guess...) There's a cute romance too, so everyone must get the book. Dina, now that I think about it, I think I've had both issues at various times. Not with the same incidents/people. Each case seems to present its own challenges. Gosh, that devil guy sure knows our weaknesses. Susie, and we think it gets lonely being a Christian in this culture! I wanted to include the story of Elijah, when he ran away from Jezebel and thought he was all alone, but I couldn't find a good place to put it. So much good stuff gets left on the cutting room floor. Your post really touched me, C.J. I've been thinking a lot about the pros and cons of being alone. And your question is very timely. I'm visiting a friend with whom I was once painfully separated from by a misunderstanding. I'm blessed that we made it beyond that and our friendship is stronger. Thank you for a lovely post on the subject. I look forward to reading Jen's book and appreciate your insight into the faith aspect of her story. the only person i can think of being isolated from because of hurts/betrayal, etc is my dad. he was a deadbeat dad and showed up in my life rarely. it wasn't until he became a Christian and got some mentoring that he realized how badly he'd treated us kids. it was still a difficult process to reconcile with us kids too. my younger brother really was the one who got the ball rolling. when his daughter was born (family first grandchild) he handed her to dad and said "she's a blank slate dad - history is yours to write"
i'm very happy to say dad was the best Grandpa a child could have up to the day he died. My niece at seven years old wrote to most beautiful tribute to my dad that her mom read at the funeral (niece got stage fright at the last minute) there wasn't a dry eye after it was finished. even though i still mourn the loss of having a father while growing up, i do have the comfort that our relationship was restored and i had the gift of him expressing his regret that he wasn't the father i needed him to be. it's amazing what the Lord can do. thanks for this post. it's a great food for thought post.